Has the Ukraine’s regime changed since the 2014 revolution? What effects does a revolution have on the stability or change of a hybrid regime? To answer these questions the study examines the changes in formal and informal institutions and the quantitative and qualitative composition of elites after the change of power in Ukraine in 2014. I argue that despite greater than in the post-orange period quantitative renewal of elites, qualitative change has not occurred. Meanwhile, the old operational code of elites’ political culture, composed of clientelism, secretive deals and quota based nominations to government positions continues to operate. The lack of elites’ renewal and the dominance of informal rules over formal procedures – two factors that keep the institutional core of Ukraine’s hybrid regime unchanged. Dr. Yuriy Matsiyevsky is Associate Professor of Political Science and the head of the Center for Political Research at Ostroh Academy National University (Ukraine), presently a CEU/HESP Research Excellence Fellow. His areas of expertise include Ukrainian politics, democratization, informal institutions and hybrid regimes. At CEU Dr. Matsiyevsky explores the connection between a revolution and a regime change/continuity in the hybrid political system, focusing on the case of post-revolutionary Ukraine. This project is a part of a larger study of Ukraine’s regime dynamics since the Euromaidan revolution. It challenges a traditional view on the hybrid regime dynamics by arguing that revolution does not always lead to the change of regime. 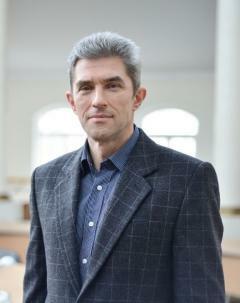 Dr. Matsiyevsky has held several research fellowships, including a Fulbright award at Kennan Institute, Washington, DC, Aleksanteri Institute’s visiting fellowship at the University of Helsinki, Think Visegrad fellowship at the Center for Eastern Studies, Warsaw and Carnegie Corporation fellowship at UC, Berkeley. Matsiyevsky is the author of Trapped in Hybridity: Zigzags of Ukraine’s Political Regime Transformations (1991-2014),(Books XXI, 2016, in Ukrainian). His papers appeared in Political Studies (Polis), Ideology and Politics, Russian Politics and Law, Nowa Ukraina (New Ukraine), Krytyka (Critics), Politeja and Wschod Europy.